The Hamilton County Traffic Safety Partnership (HCTSP) is a consortium of law enforcement agencies in Hamilton County working to increase the usage of seatbelts, to combat aggressive driving, and to decrease impaired driving with the overall goal of creating a safer Hamilton County. The HCTSP is comprised of the Hamilton County Sheriff’s Office, Fishers Police Department, Carmel Police Department, Cicero Police Department, Noblesville Police Department, and Westfield Police Department with the assistance of the Indiana State Police. 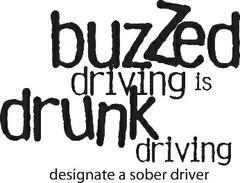 Impaired driving is one our nation’s most frequently committed violent crimes. Just in Indiana in 2014, alcohol related traffic crashes killed 101 people, accounting for approximately thirteen percent of all fatal crashes, and injured another 1,880 people. To combat this crime, the Hamilton County Traffic Safety Partnership will be setting up sobriety checkpoints around Hamilton County to aggressively deter, detect, and arrest those drivers who make the decision to drive impaired. Sobriety checkpoints have proven successful both raising awareness of impaired driving and reducing the likelihood of people driving after they have been drinking. A sobriety checkpoint will be conducted on the night of Saturday, October 27, 2018 and the early morning hours of Sunday, October 28, 2018. At a sobriety checkpoint, law enforcement officers evaluate drivers for signs of alcohol or drug impairment at a specified point along a roadway, often depending upon the support of local property owners for the use of appropriate land. Checkpoint sites are selected based upon analysis of available crash and impaired driving arrest data and a consideration of officer safety. Vehicles are stopped in a specific sequence, such as every other vehicle, every third vehicle, every fourth vehicle, or by stopping three, four, or five cars in succession and allowing other traffic to proceed while checking the stopped vehicles. The planned sequence in which vehicles are stopped depends on the number of officer available to staff the checkpoint, traffic congestion, and other safety concerns. Upon making contact with a driver, the officer advises them that they’ve been stopped at an HCTSP sobriety checkpoint and asks for the driver’s license and vehicle registration. If, in the course of the contact, the officer detects that alcohol may be involved and the driver may be impaired, or if some other issue arises, then the vehicle is directed into a pull-off area for further investigation. Further investigation may involve Standardized Field Sobriety Tests (SFSTs). On the other hand, all looks right during the initial contact, the driver is usually released in less than two minutes. Officers staffing the sobriety checkpoints work on an overtime basis, paid by grant funds from the National Highway Traffic Safety Administration through the Indiana Governor’s Council on Impaired and Dangerous Driving. Sobriety checkpoints are legal in 39 states, including Indiana, and the District of Columbia. In 1990, the United States Supreme Court ruled that, if conducted properly, sobriety checkpoints do not constitute an illegal search and seizure. In the 2002 case of State v. Gerschoffer, the Indiana Supreme Court found that sobriety checkpoints are constitutional when conducted properly. Members of the Hamilton County Prosecuting Attorney’s Office work with the Hamilton County Traffic Safety Partnership to ensure that each checkpoint meets constitutional requirements. Any questions regarding sobriety checkpoints in Hamilton County should be directed to Chief Deputy Prosecuting Attorney Andre Miksha at 317-776-8595.